See Rubus idaeus L. subsp. vulgatus for a description. The ‘Common White Raspberry’ is probably the wild type. The Common White Raspberry is probably synonymous with the variety listed by Don as Old White, which he describes as having white fruit of very indifferent quality. It is figured in Pomona Austriaca, the fruit being yellow rather than white [Pomona Austriaca t.63/1792]. This is the illustration used here. 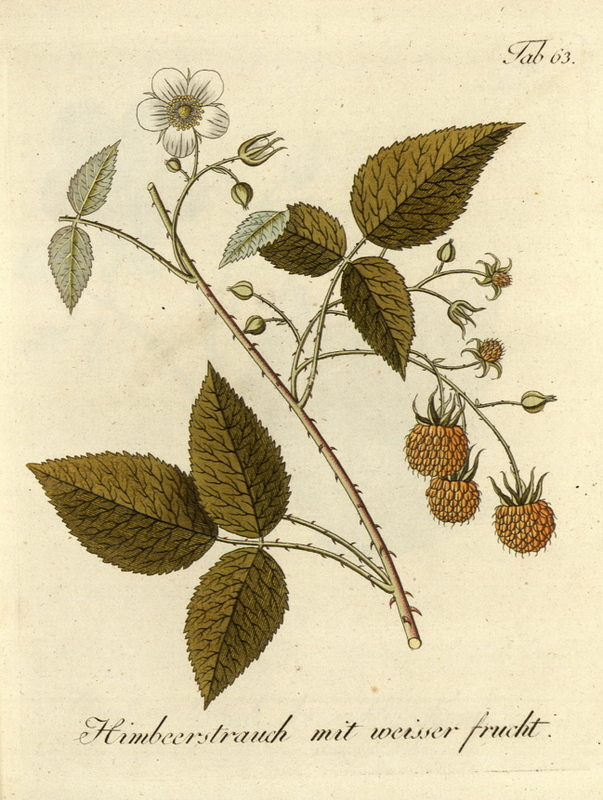 Listed in the 1850 and 1857 catalogues as ‘ditto white ditto’, i.e ‘Common White Raspberry’ [Raspberry no.2/1850].